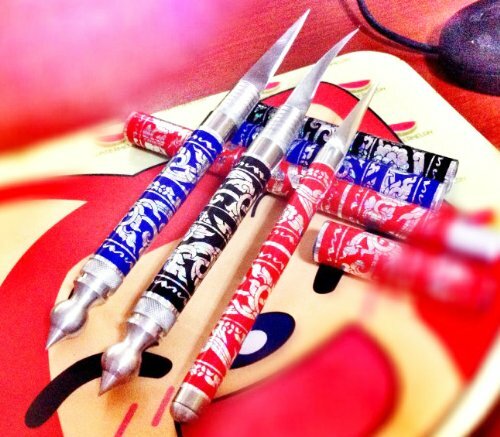 Set of Fruit Carving Knife Product of Thailand. Blade And Scabbard Beautiful Patterns Handle Carving Stainless steel. Perfect for making delicate rose petals. Must take a good care of the blade as it can bend easily. This is the classical bird's beak knife commonly used in Thai carving classes and books. The stubby blade makes this is a must have tool for creating intricate Thai fruit and vegetable carvings. 1 Set have 3 Pcs.